The Greater Yellowstone region is world-renowned for its stunning beauty, natural diversity, pristine wilderness, and abundant recreation opportunities. The concept of the Greater Yellowstone Trail seeks to provide residents and visitors alike with a sustainable, healthy, and authentic way to experience the region’s unique landscapes. 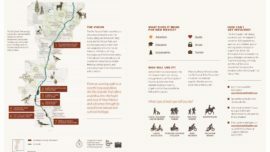 The Greater Yellowstone Trail Concept Plan formalizes a vision for a world-class 180-mile regional trail system that would enhance quality of life, connect people to public land, and spur economic development opportunities for local communities along the unique and diverse corridor. Alta’s work on the Greater Yellowstone-Teton Trail Concept Plan sought to establish this shared vision for developing the 180-mile non-motorized trail connection linking communities and public lands throughout Wyoming, Idaho, and Montana. The corridor possesses many interesting historic rail and agricultural resources, wildlife viewing opportunities, and stunning scenery. Alta led a successful public outreach program that engaged a variety of stakeholders including public land managers, city and county government officials, trail advocates, and tourism and economic development interests. Key findings from the stakeholder outreach focused on a few key issues. While there was broad support for the project, public land managers in particular were wary of the expanded maintenance requirements and responsibilities resulting from constructing an 180-mile trail system. 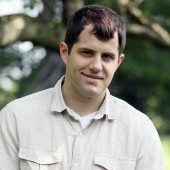 The Concept Plan sought to address these concerns head-on by exploring various maintenance funding strategies such as maintenance endowments, fee areas, and partnerships with the non-profit groups. 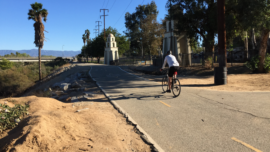 In addition, the Concept Plan provided estimates of probable maintenance expenditures for paved and unpaved trail scenarios to give public land managers the data needed to seek out creative partnerships and additional funding. Existing motorized use along one segment of the trail also presented challenges. Off-highway vehicles are currently permitted on 27 miles of an abandoned railroad grade trail south of the Montana border in Caribou Targhee National Forest. 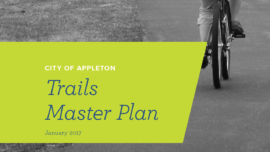 To reduce the potential for conflicts, the Planning Team designed various conceptual trail cross-sections that widened the trail or provided designated travelways for non-motorized and motorized trail users. 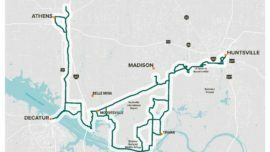 The resulting plan documents opportunities and constraints along the potential corridor, explores maintenance and funding scenarios, and describes a framework to forward the plan.